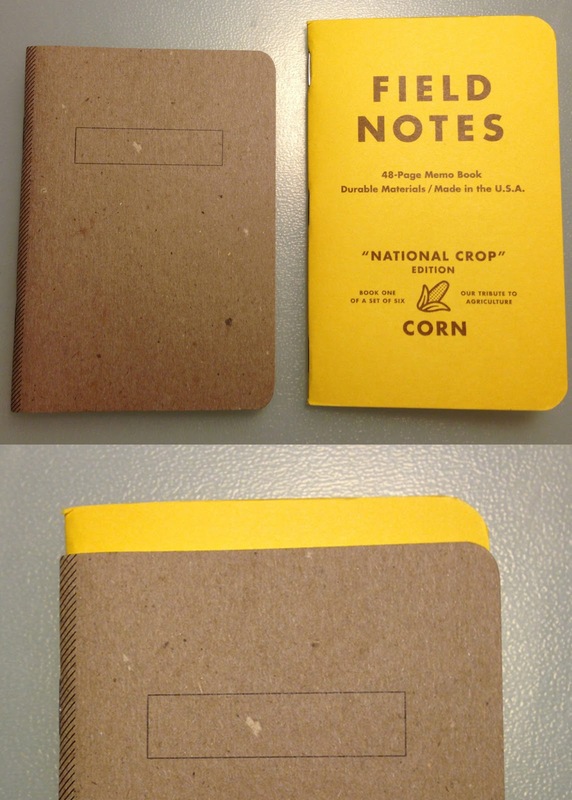 I've been shopping around trying to find a pocket notebook that fits my needs. Something that isn't too small, expensive, and most important of all, has blank pages. I don't believe I use notebooks like most people use notebooks. Being a designer, I draw on everything, all the time. And, if there is a chance that I create something cool, I don't want a grid/lines/dots to spoil my sketch (I may want to Instagram that stuff, lines are for suckas!). That is mostly so I can scan the artwork and either use it as an underlay for a larger or more detailed drawing. This disqualifies most "standard" types of notebooks for me so I tend to purchase "sketchbooks". Most of these are expensive, have bindings that don't let the (note)book lay flat, and just the thought of tearing a page out to scan just makes me want to cry. This is where notebooks like the ones from Scout Books come into play. Scout Books is based out of Portland,Oregon and makes these pocket notebooks from 100% recycled materials. This is most obvious in the cardstock used for the covers, you can see flecks and fibers of the paper that hint at a previous life. I obviously chose the blank version, or sketch keeper, but they have a very large assortment of versions to choose from. They even have books printed with short stories so you can read on the go, or send them out with your kids without fear of them being lost or destroyed. Very cool stuff. They even collaborate with designers to create special editions. When you get a chance, be sure to poke around a bit to see what's new. Each notebook has 32 pages, which seemed kind of random to me until I found out that in the publishing world, 16 pages are called "signatures" and books are built using these units, so these are 2 signatures thick, I think. (Thanks Jake Parker) They also contain 100% awesome, which I'm pretty sure isn't regulated by the FDA, so take that at face value. The notebooks come packaged in groups of three with a paper band holding them together. They also are all shrink wrapped when they arrive, but it looked weird in photos so I removed it. The paper is nice and thick, but I will get into that later, but I was impressed. I know some of you are thinking to yourselves, "Hey, these sound just like Field Notes, something is fishy here!" I originally thought that too, but there are noticeable differences. First, the branding is different. 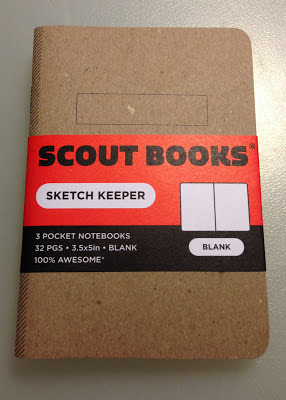 Scout Books puts their branding on the back and a blank box on the front, while Field Notes places theirs on the front. 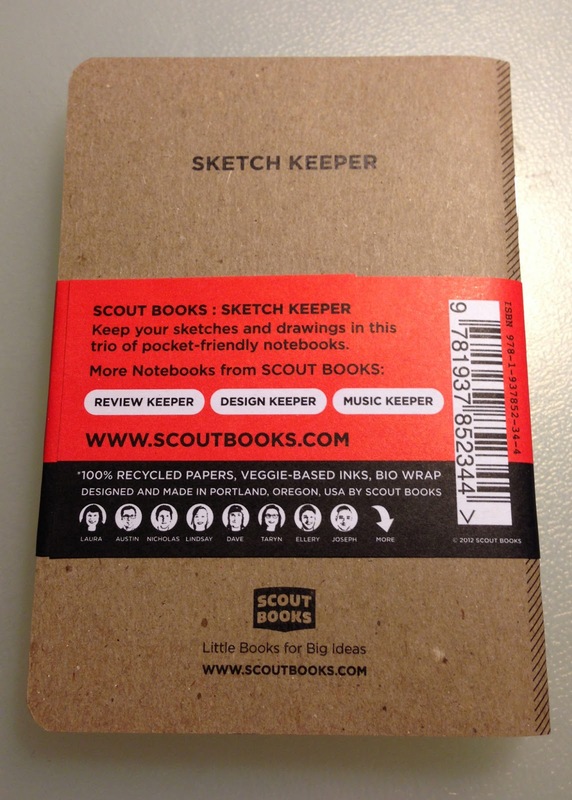 Second, Scout Books notebooks are 3.5" x 5" while Field Notes are 3.5" x 5.5", respectively. Third, Scout Books notebooks are 32 pages thick while Field Notes are 48 pages thick. 16 page groupings remember? 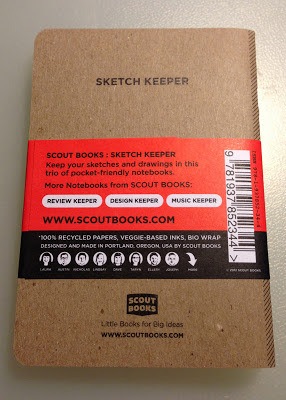 The paper in the Scout Books notebook is noticeably thicker. I am not sure what the difference in poundage is, but it seems significant. And lastly, the Scout Books are bound with two staples while the Field Notes use 3 staples. One thing they do share is that they both are made in the USA. I plan on putting these through their paces to see how they perform and will post part 2 when that's done. As a side note, that Field Notes "National Crop" edition notebook is currently being used, as is the rest of the set, for mundane lists and doodles. My apologies to those who may suffer significant mental anguish at the thought of this act of heresy. I'll be interested to see your follow up on these - I'd like a reliable, quality brand of blank pocket notebooks myself! Sheryl, part 2 is up on the blog. Thanks for looking!